After several weeks of bad weather, we took the opportunity to go up and try out our new ADS-B Transceiver. We also purchased the Stratus 2 ADS-B Receiver for our iPad. 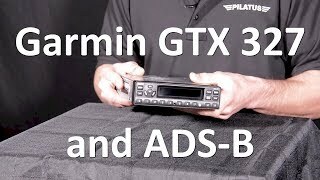 This ADS-B Transceiver also has WiFi for the WingX Pro7 app, which we haven't tried out yet, but it does give the copilot and passengers the option to use either the ForeFlight app or the Wingx app. On this particular day, we had an extreme crosswind,straight across the runway at 17 mph, gusting to 23 mph. 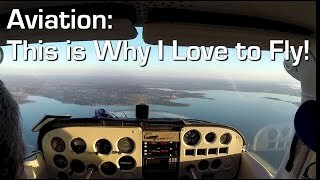 I asked my instructor, who has over 5,000 hours of flight time, to take us up for this video. 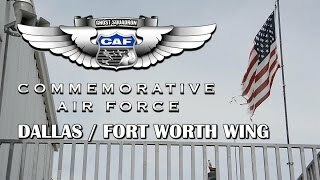 In this video we visited the Dallas/Fort Worth Wing of the Commemorative Air Force in Lancaster, Texas. We had a special opportunity to watch the members of this Wing as they worked on their WWII Aircraft. At this particular meeting, Adam Smith, Exec. Vice President of Strategic Development for the CAF Headquarters was their special guest, speaking about the CAF Headquarters moving to the Dallas Executive Airport in Dallas, Texas. If you have a chance, this is a great tour of Warbirds and Vintage Aircraft, plus they offer rides for the general public for a nominal fee. 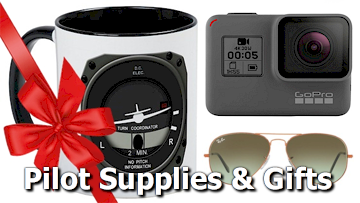 General Aviation Product Reviews, How to's, and Maintenance Tips. 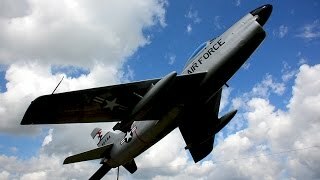 Arispe Aviation in conjunction with FunPlacesToFly.com brings you the hard to find video advice on your aircraft from the latest and greatest products and news too the maintenance items every aircraft owner should do themselves. 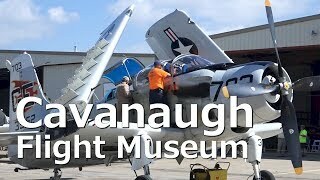 The Fly Days and Car Show is a festival featuring Cavanaugh's famed collection of vintage aircraft and military vehicles. There was a Sherman tank demonstration and many aircraft tours. Also at the show were the finest array of muscle cars in the DFW area.The event also hosted a gathering P-40 Warhawks. Homemade Handheld Gimbal Mount for the GoPro. Here's everything you need to make a DIY HandHeld Gimbal Mount for the GoPro. Plus all the power information, including the charger, adapter and battery type. An evening flight in our Cessna 172 that is equipped with a full Horton STOL kit. We flew out to Caddo Mills Airport in Texas and did some touch and go's. We had 3 GoPro Hero3+'s shooting the footage.